This cute hand puppet is 12” tall including its ears and is 7.5” from its nose to the back of its head. There is room for fingers in the bottom lip. 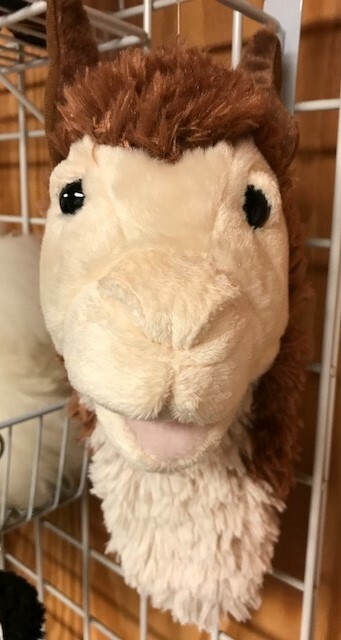 This cute llama hand puppet is a Douglas plush toy which means it is super soft and well constructed.